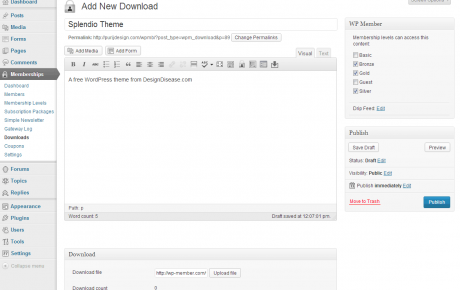 The best WordPress membership plugin. 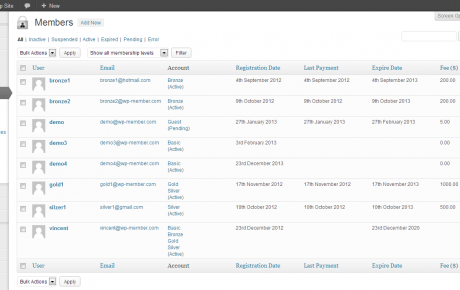 Every member account will be automatically managed so that you don’t need to do a thing. 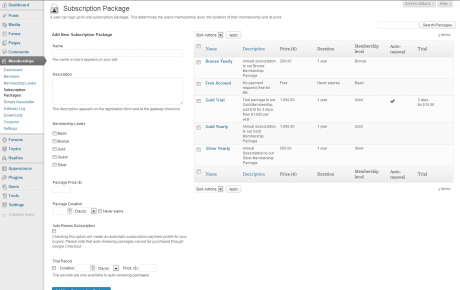 Payments, emails, account setup, automated. 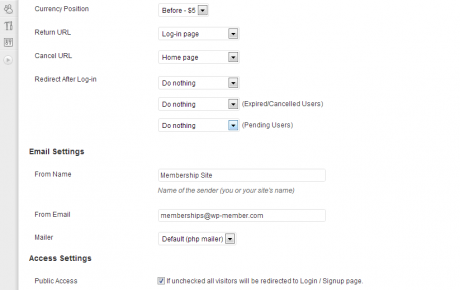 Get your membership site up and running in no time with WP-Member’s quick setup and intuitive, easy to use interface. 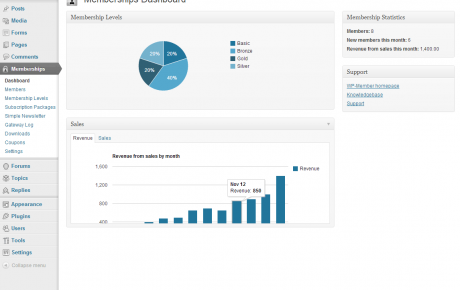 View and manage all your members in one easy to read place. Select membership levels, active or inactive status and send out an email newsletter to the selected members or all of your members. 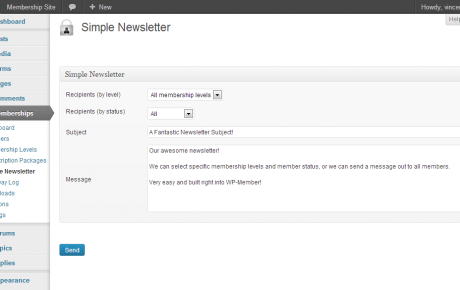 Create unlimited Membership Levels and free or paid Subscription Packages with WP-Member’s flexible system. Give your members access to digital downloads and rest easy knowing the download links and files are secured from non-members. 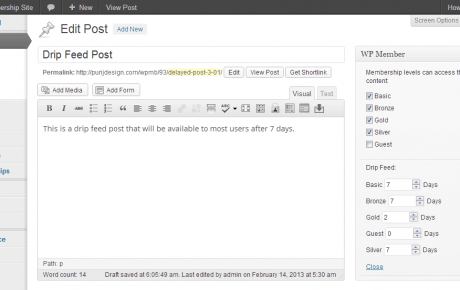 Easy, automated scheduled drip feed system for member content. 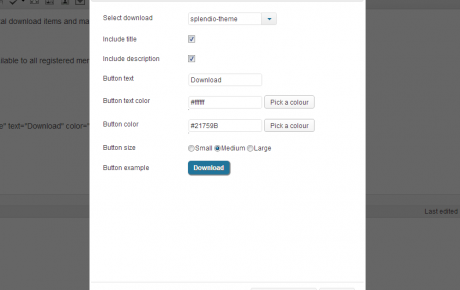 Includes ready to use login widgets and shortcode generator for protected content, download buttons, login & registration forms and more. State of the art security protects anything you can put into a WordPress Post, Page, Category, Custom Post Type, or Taxonomy. 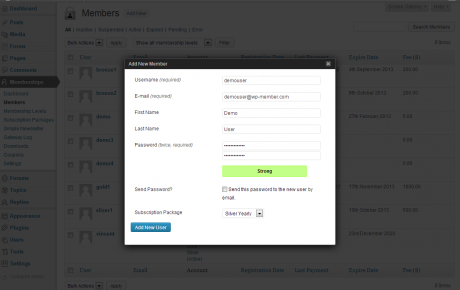 The members table lets you quickly view and manage all of your members. 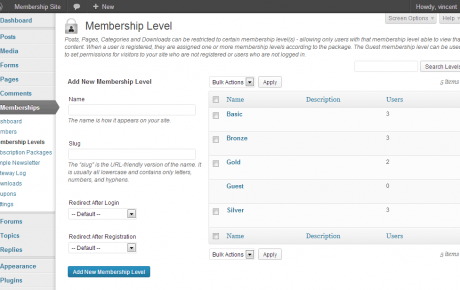 WP-Member is an advanced WordPress membership plugin that adds many powerful features to your WordPress membership site. Get notified of special offers, discounts and updates.